One of the major fields that have applied ICT in the 21st century government is e-voting. Around the world, e-voting is taking place and is seen as highly important in many countries. However, in many countries, including the Kingdom of Bahrain, public trust toward voting using ICT tools is still a big challenge. This research aims to investigate the factors that affect public trust toward using e-voting system in Bahrain. A model of trust and risk was used from previous studies and several hypotheses were tested. A questionnaire was employed and 453 responses from citizens were collected in Bahrain. The findings revealed that there are significant factors that the governments should focus on to enhance public trust in the context of e-voting, which are: trust in e-voting; trust of government; perceived risk; disposition to trust and intention to use. 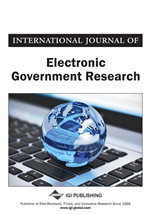 The research strength of this study resides in its insights on the factors to be considered by the government to overcome the mistrust of using e-voting in Bahrain. The originality of this research resides on the application of a trust model that was applied in other countries in a new context. In the democratic societies there is a tremendous trend towards improving the public participation using the Information and Communication Technologies (ICTs) through the concept of e-Participation. One of the essential facets of e-Participation is e-voting that has lately attracted many governments around the world. e-voting refers to “an election or referendum that involves the use of electronic means in at least the casting of the vote “(Carrls, 2010). The success behind any e-voting systems should target at increasing citizen’s trust as it is on the top of the pyramid and the ultimate goal of electoral reform by implementing an e-voting solution (The International Institute for Democracy and Electoral Assistance, 2011). However, trust, is difficult to establish in the e-voting domain as it is necessarily based on complicated distribution information systems through which interactions between computers, between humans, and between humans and computers occur (Antoniou et al., 2007). Cetinkaya and Cetinkaya (2007) state that accepting e-voting is not a problem from technological view. However, the problem comes from the high sensitivity of the e-voting systems toward security, privacy and trusting governments or suppliers who will be involved in delivering the e-voting systems which was the case of Kingdom of Bahrain; where e-voting started in 2006 but the government decided to return back to paper voting due to mistrust of the e-voting system. Therefore, it is important to investigate the factors that affect people trust of e-voting using a number of parameters that directly affect trust as agreed by many authors in the literature which in turn affect their acceptance. This research examines these parameters and checks their priority according to Bahrain society where e-voting started in 2006 but government decided to return back to paper voting due to mistrust. This paper is organized as follows: first an overview of e-voting in terms of definition and history is presented; second research model and hypotheses are discussed; third e-voting in Kingdom of Bahrain is discussed, then research methodology in terms of research instrument, sample size, validity and reliability of instrument is presented; then results of factors affect citizens’ trust and the discussion of the results are presented; finally the paper is wrapped up with a conclusion.